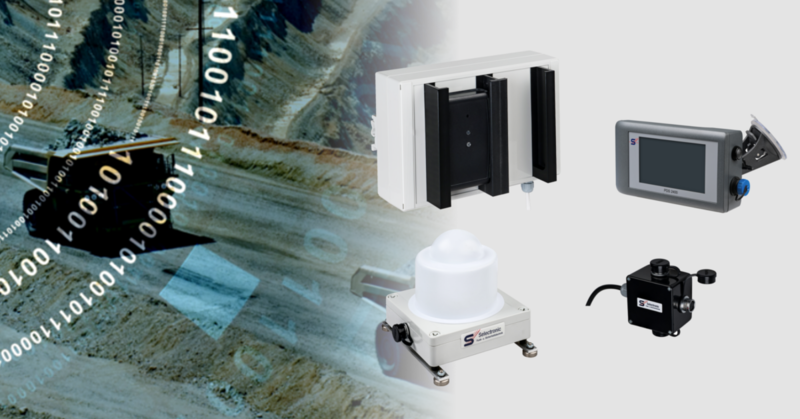 Nanotron Technologies and Selectronic have announced their first joint product: the PDS2400 Collision Avoidance Solution (CAS) for open-pit mine safety. The PDS2400 is an RF-based proximity detection solution that supports collision awareness and proximity warning between fast moving vehicles, as well as between vehicles and people. Unlike other solutions, it provides a turnkey, ready-to-go system, which requires zero calibration before use. For high reliability, the system provides robust resistance against electromagnetic disturbances, whilst the personnel tag utilises a 'body pervasive' antenna design. There are three adjustable warning zones, and the vehicle system provides 'nuisance alarm suppression' for the driver. Dr Jens Albers, CEO of nanotron, said: "Selectronic is very well known for its innovative mining safety solutions, and the PDS2400 proximity solution leverages nanotron’s strength in location awareness to bring an entirely new level of accuracy and simplicity to the industry." Jens Richter, Managing Director of Selectronic, said: "Nanotron’s market-leading expertise in location awareness has enabled us to quickly and economically develop a powerful, robust, industry-grade collision avoidance system."